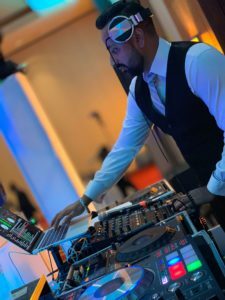 With over 14 years of experience, DJ Monu is considered as Chicago’s Top South Asian Wedding DJ. Having traveled extensively throughout almost every major city in the US and, Canada. His beats keep the guests on the floor all night. With his large collection of music, Monu is able to flawlessly spin everything from Hindi, Bhangra, Bollywood, Punjabi (traditional or UK style), Top 40s, Hip-Hop, Reggae, and R&B.